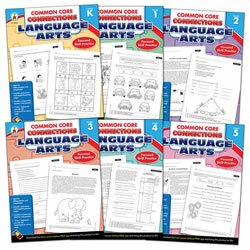 Provide children with assistance in meeting Common Core Standards with Kaplan's language and literacy lesson plans, activities, and curricula resources. Grades K - 5. 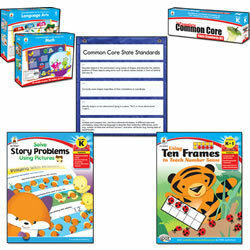 These comprehensive supplements contain standards-aligned reproducible activities designed to focus on critical language arts skills and concepts that meet the Common Core State Standards. Each page includes questions to be completed during a four-day period. The exercises are arranged in a continuous spiral so that concepts are repeated weekly. An assessment for the fifth day is included. Each book has 96 pages. Grade 6. 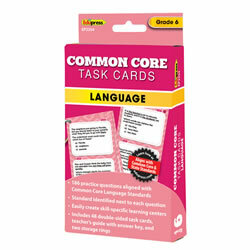 Create an instant language learning center with 192 questions aligned to Common Core Language Standards! Questions cover all the Language Standards at each grade level. Each question lists the exact standard it addresses, so teachers can assess areas of student difficulty. Questions include practice with Conventions of Standard English, Knowledge of Language, and Vocabulary Acquisition and Use. 48 double-sided cards, two rings, and a reproducible answer key. Grades 1 - 5. 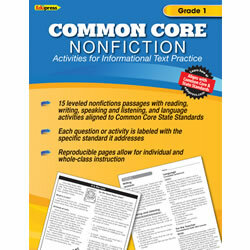 Explore informational text with leveled nonfiction text and Common Core questions and activities! Each book includes 15 nonfiction passages, followed by two pages of Reading, Writing, Speaking and Listening, and Language activities. Each question or activity has the Common Core standard(s) it hits listed next to it, giving teachers and students detailed information about what standards they are practicing. 48 reproducible pages. Grade 2. As students explore literacy and language, provide them with opportunities to build a strong English Language Arts foundation. These comprehensive kits will engage learners as they investigate everything from the alphabet to developing speaking and writing skills. 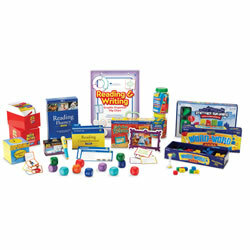 Each interactive kit contains an array of products carefully chosen to help students meet CCSS objectives. Grades K - 3. English Language Learners will delight as Mantra Lingua's robust audio PENpal brings to life all of the wonderful resources in this kit. Alignment with Common Core Standards, including Print Concepts, Phonological Awareness, Fluency, and Word Recognition, makes this kit an essential part of every classroom with ELL students. 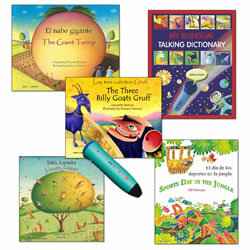 Simply touch the PENpal to the pages and hear the pages read aloud in both Spanish and English. This incredible kit will amaze teachers, students, and parents!